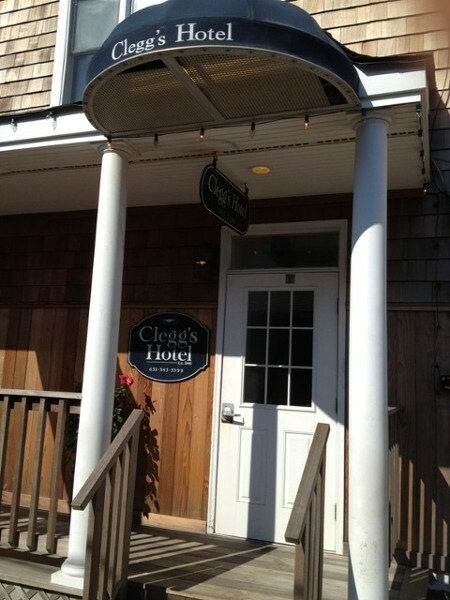 Clegg's Hotel is a boutique hotel and bed and breakfast in Ocean Beach, NY located on Fire Island. We have been serving Fire Island's tourists since 1946. Clegg's Water Front Hotel & Bed and Breakfast. Clegg's Hotel offers 20 rooms to choose from, including basic guest rooms and fully furnished suites. Find out more about our hotel rooms and special event services. Each morning, we offer a tasty continental breakfast for our guests to enjoy. Find out more information about our daily continental breakfast. Clegg's Hotel is a water front hotel located on Fire Island in Ocean Beach, NY. We have been serving Fire Island's tourists since 1946. Clegg's Hotel resembles a sailor's rooming house with a charming, country blue decor. We are centered in the heart of Ocean Beach facing the Great South Bay, just steps away to all the town's offerings and just a five-minute walk from the Atlantic Ocean. Family-owned-and-operated for more than 67 years, our family is dedicated to what we do and truly enjoy providing the best service to each and every one of our customers at our boutique hotel in Ocean Beach, NY. We have many faithful customers who love that our hotel is quaint, peaceful, simple, and located near everything.